Why - Because we know the importance that you attach to your shipments, we treat them with care and adequate speed. Direct 1 has the experience to handle a transport express solutions. Our team knows the national and international road network and is equipped with Info Live Traffic System avoiding any traffic congestions to deliver Just In Time your important package. By his definition: Just in time – technique that allows goods to arrive on location - POD (point of delivery) precisely when they are needed, which reduces inventory levels and there by investment and expenses related thereto. JIT delivery in transport involves fast and flexible ways. Our speed couriers are distinguished from ordinary mail services by features such as speed, security, tracking, signature, specialization and individualization of transport express services, and swift delivery times, which are optional formost everyday mail services. 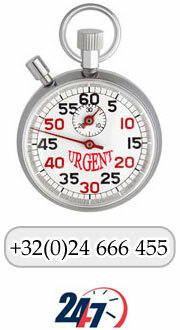 Where - Everywhere in Europe (door to door) is our mission to take care of your transport express problems. By a simple request our Costumer Support Department can provide you a world wide solutions (OBC, NextFlight Out...). When - We understand that sometimes stock needs to be delivered on a week end or out of normal delivery hours so our service line is open 24/7 night, day, national/international, hollyday... Our deliveries are done in time and hours, your parcels have always priority. Our goal, your satisfaction and that any time.